The Summer Triangle is a large star pattern made of 3 bright stars in 3 separate constellations. Look for it ascending in the east on these June evenings. Image via Jimmy Westlake/Steamboat Pilot&Today. June is here. 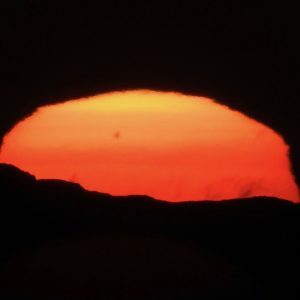 In the Northern Hemisphere, the days are long, the sun is at its most intense for the year, and the weather is warm, but not as warm as it will be later this summer. And the summer sky is with us, too. The famous Summer Triangle is ascending in the eastern sky on these June evenings. The Summer Triangle isn’t a constellation. It’s an asterism, or noticeable pattern of stars. 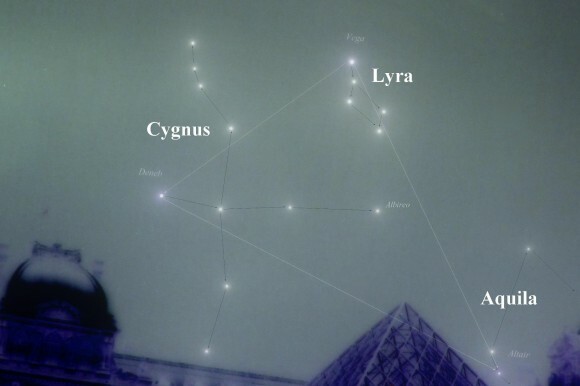 This pattern consists of three bright stars in three separate constellations – Deneb in the constellation Cygnus the Swan, Vega in the constellation Lyra the Harp, and Altair in the constellation Aquila the Eagle. Learn to recognize the Summer Triangle asterism now, and you can watch it all summer as it shifts higher in the east, then finally appears high overhead in the late northern summer and early northern autumn sky. Image via Susan Jensen in Odessa, Washington. 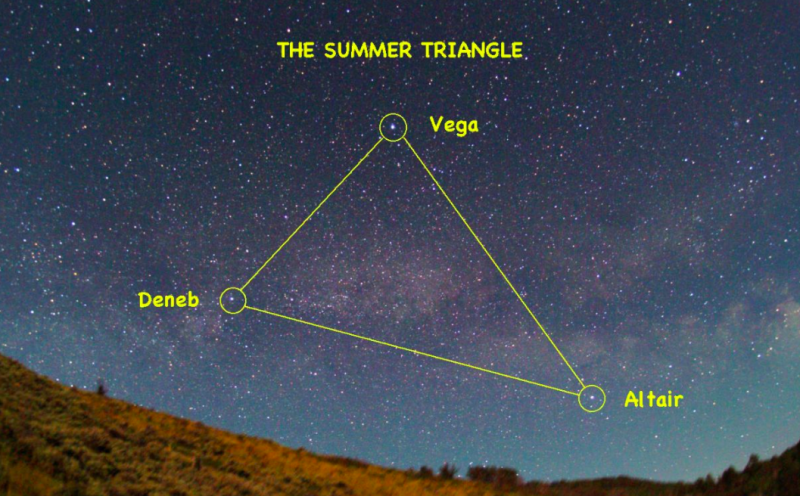 How to find the Summer Triangle. As night falls in June or July, look east for a sparkling blue-white star. That will be Vega, in Lyra. Reigning at the apex of the celebrated Summer Triangle, Vega is also the brightest of the Summer Triangle’s three stars, which all are bright enough to be seen from many light-polluted cities. 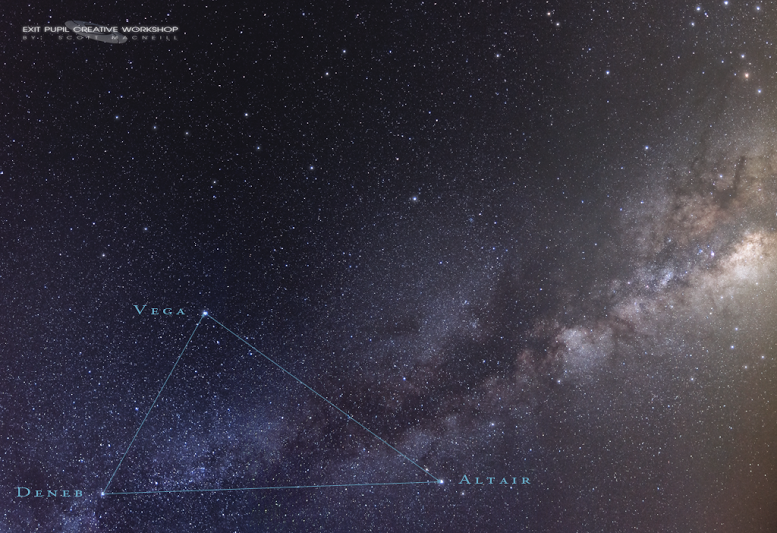 Look to the lower right of Vega to locate the Summer Triangle’s second brightest star. That’s Altair, the brightest star in the constellation Aquila the Eagle. A ruler held at an arm’s length fills the gap between these two stars. 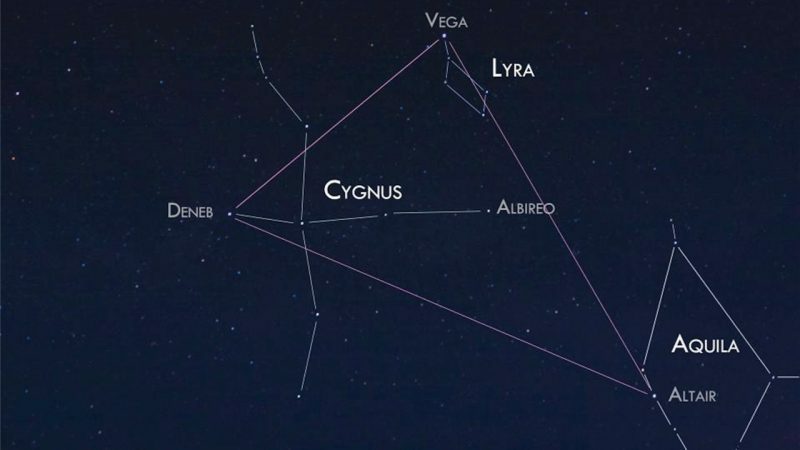 Look to the lower left of Vega for another bright star – Deneb, the brightest in the constellation Cygnus the Swan and the third brightest in the Summer Triangle. An outstretched hand at an arm’s length approximates the distance from Vega to Deneb. It’s difficult to convey the huge size of the Summer Triangle asterism. 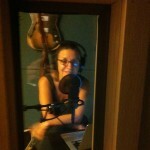 But you’ll see it. 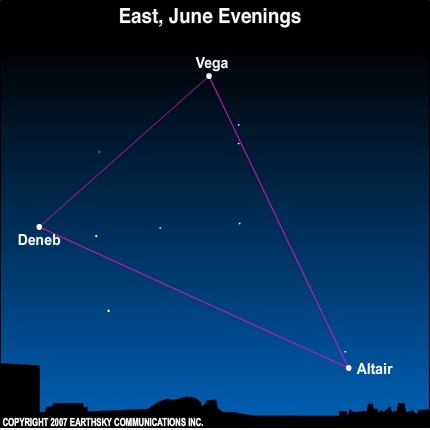 These three bright stars – Vega, Deneb and Altair – will become summertime favorites. The Summer Triangle, ascending in the east on June evenings. Summer Triangle as a road map to the Milky Way. If you’re lucky enough to be under a dark starry sky on a moonless night, you’ll see the great swath of stars passing in between the Summer Triangle stars Vega and Altair. The star Deneb bobs in the middle of this river of stars, which arcs across dark summer skies. This sky river is, of course, the edgewise view into our own Milky Way galaxy. Although every star that you see with the unaided eye is a member of the Milky Way, at this time of year we can see clearly into the galaxy’s flat disk, where most of the stars congregate. By August and September, we have a good view toward the galaxy’s center. Once you master the Summer Triangle, you can always locate the Milky Way on a clear, dark night. How about making the most of a dark summer night to explore this band of stars – this starlit boulevard with its celestial delights? Use binoculars to reel in the gossamer beauty of it all, the haunting nebulae and bejeweled star clusters along the starlit trail. Scott MacNeill of Exit Pupil Creative Workshop captured this photo of the Summer Triangle, constellation Hercules, bright Milky Way, and the bright red star Antares among more. View larger. | Great Rift of Milky Way passes through the constellation Cassiopeia and the Summer Triangle. A word about asterisms. As we mentioned above, asterisms aren’t constellations; they’re just patterns on the sky’s dome. Constellations generally come to us from ancient times. In the 1930s, the International Astronomical Union officially drew the boundaries of the 88 constellations we recognize today. Meanwhile, you can make up and name your own asterisms, in much the same way you can recognize shapes in puffy clouds on a summer day. Some asterisms are so obvious that they’re recognized around the world. The Summer Triangle is one of these. Summer Triangle and the top of the Louvre Pyramid from EarthSky Facebook friend VegaStar Carpentier in Paris. Bottom line: Watch for the Summer Triangle, a large pattern made of three bright stars. On June and July evenings, you’ll find it in the east at nightfall. It swings high overhead in the wee hours after midnight and sits in the west at daybreak.